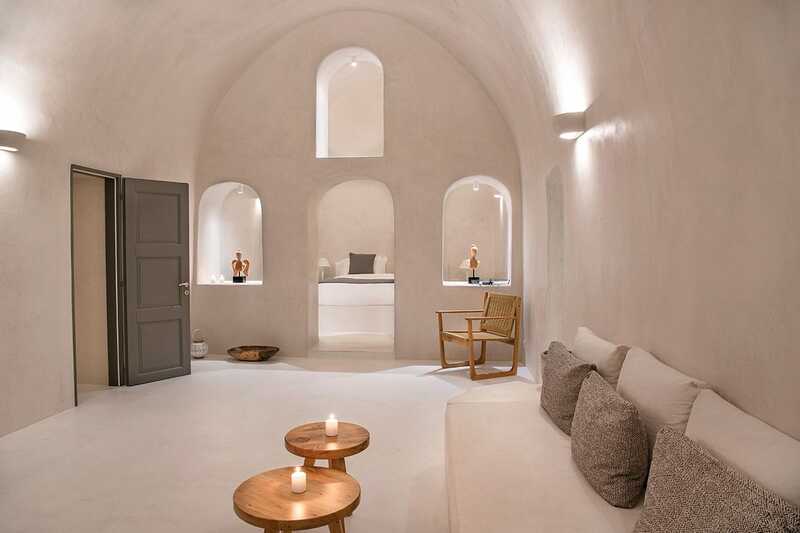 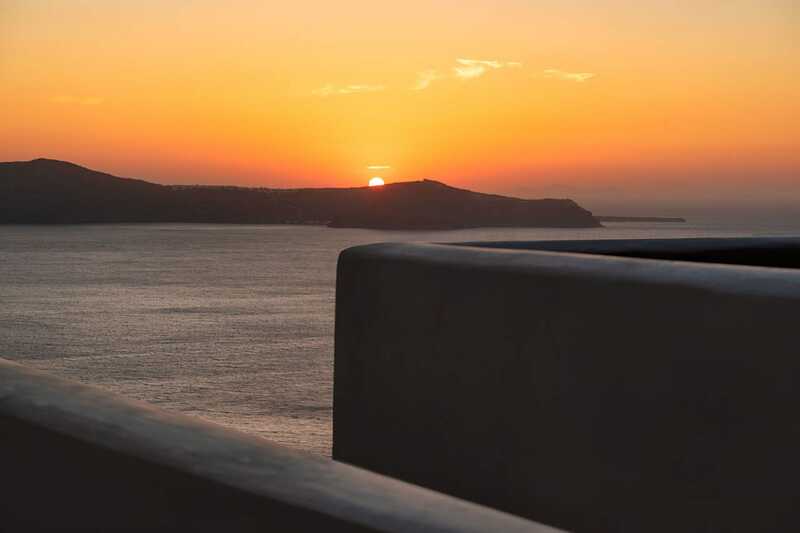 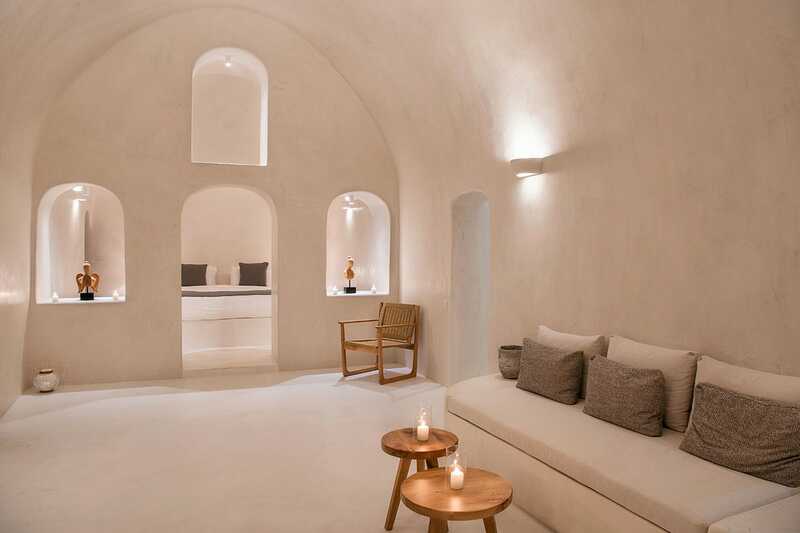 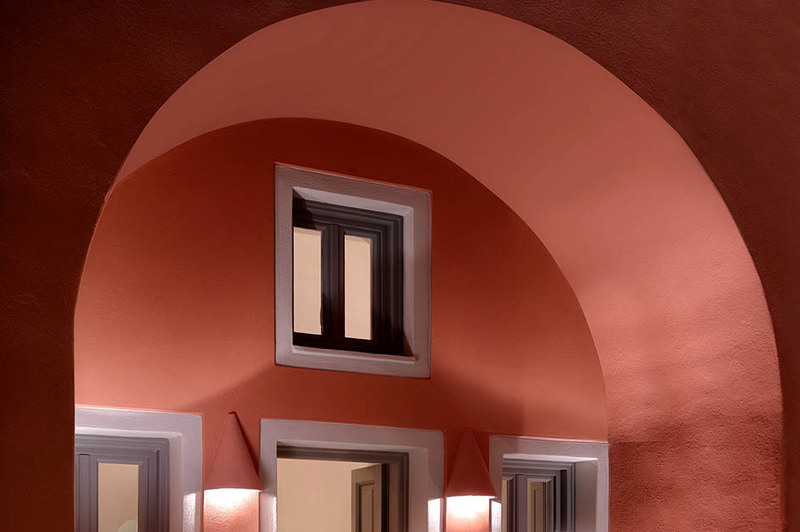 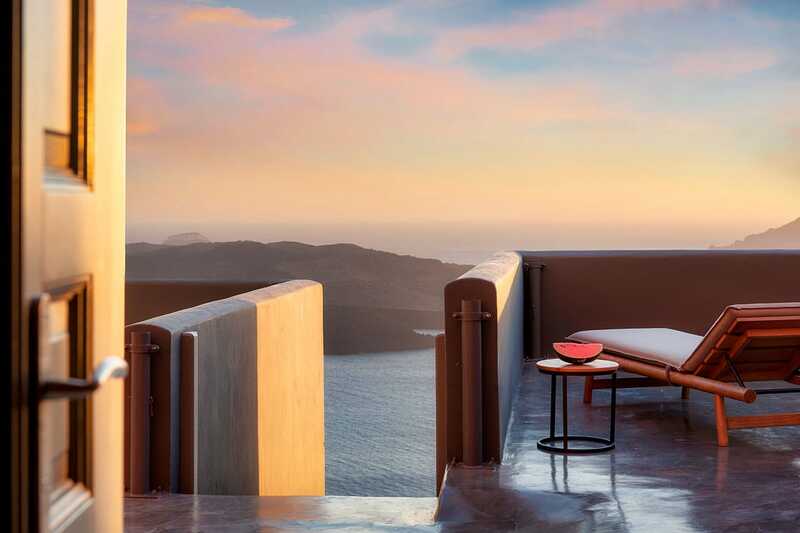 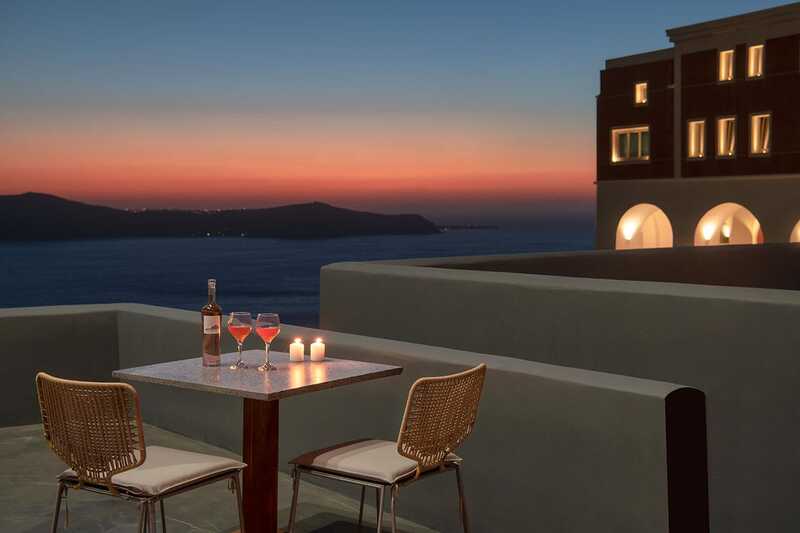 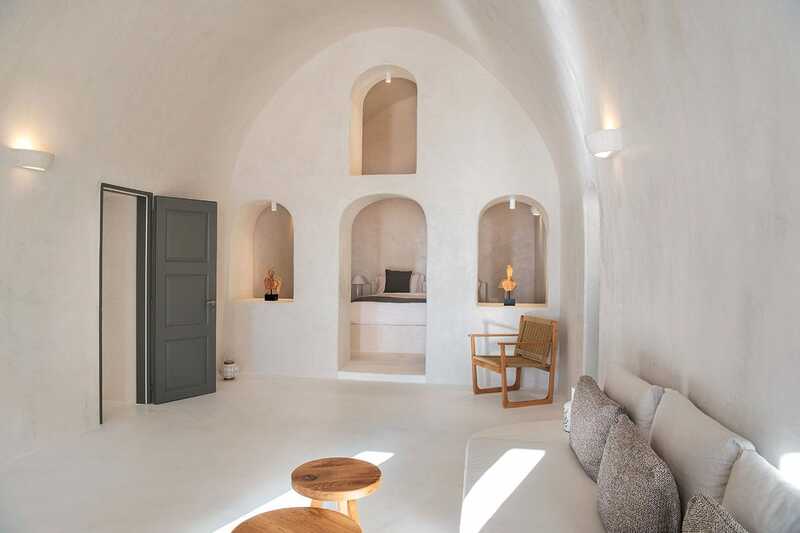 Inspired by the iconic island architecture, Villa Dawn is a romantic hideaway greeting guests with views of golden sunsets and crystalline Caldera waters, in a backdrop of unique Santorinian scenery. 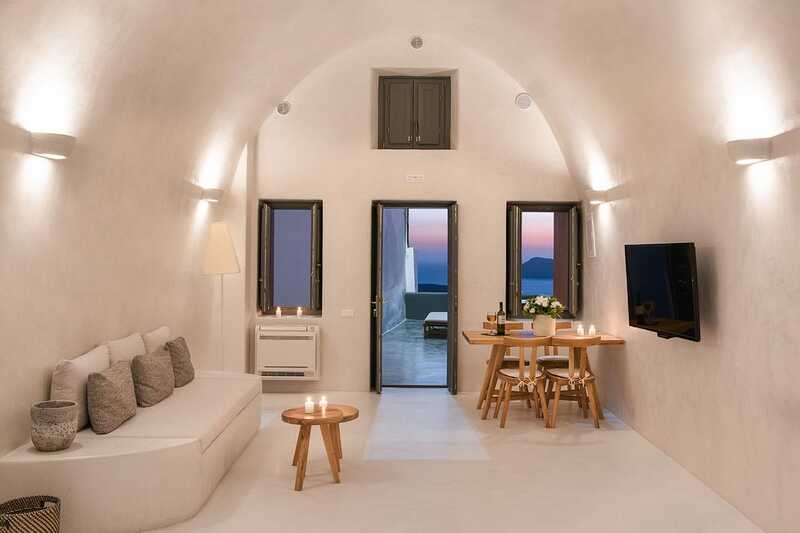 Villa Dawn features a beautifully decorated living and dining area, and a fully equipped kitchenette. 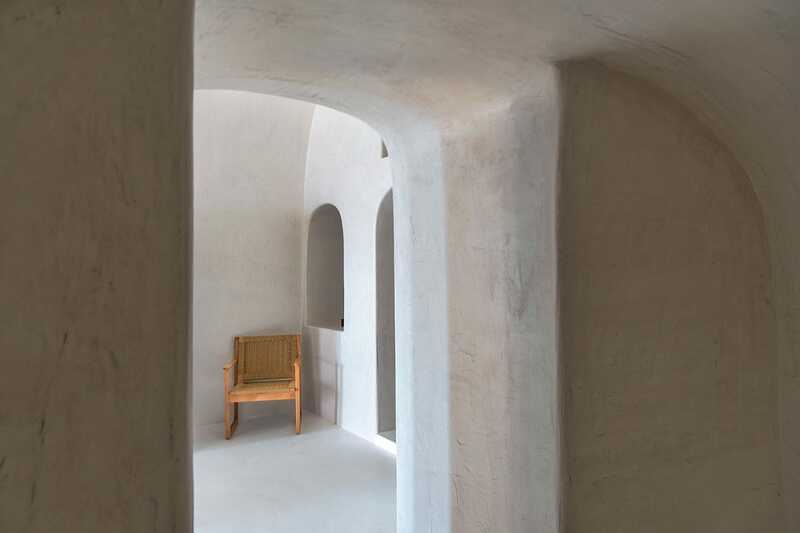 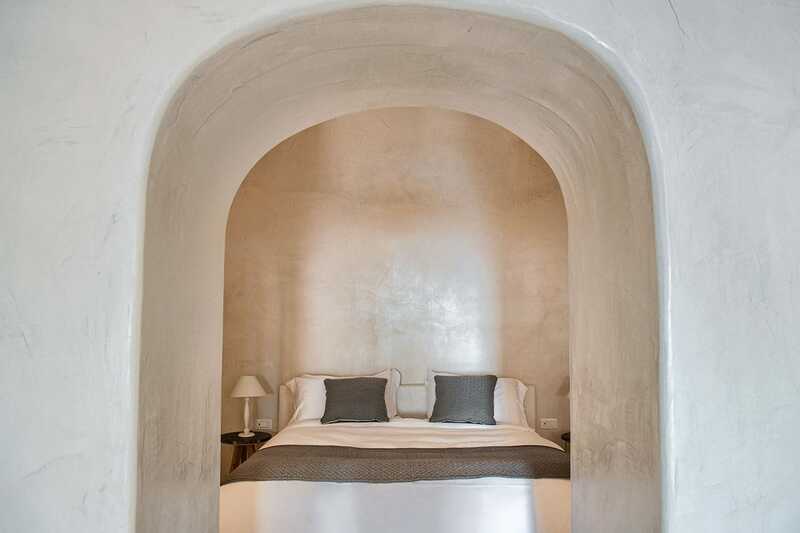 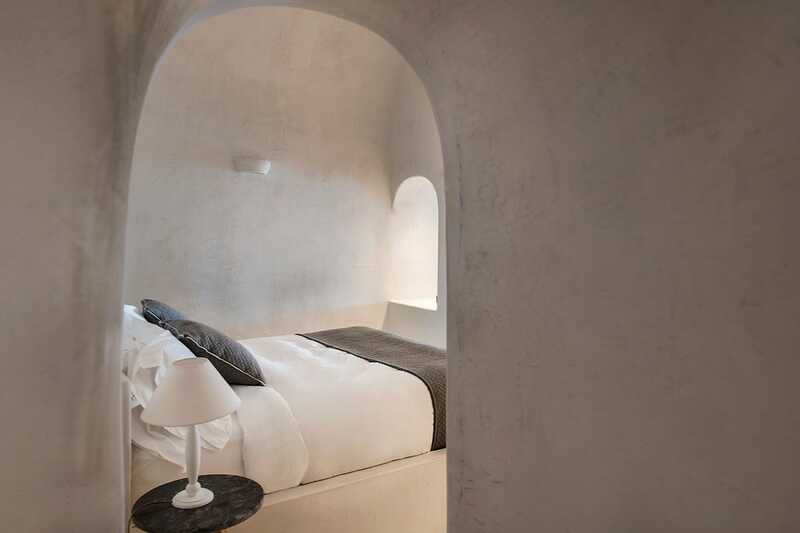 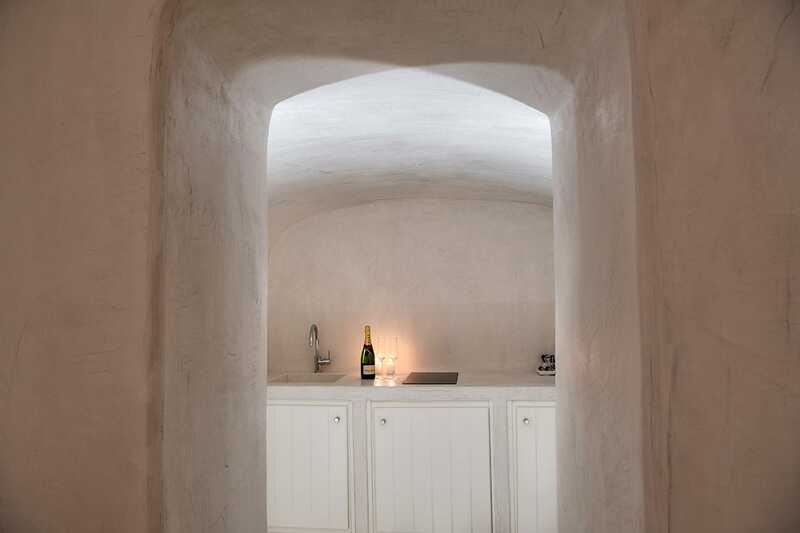 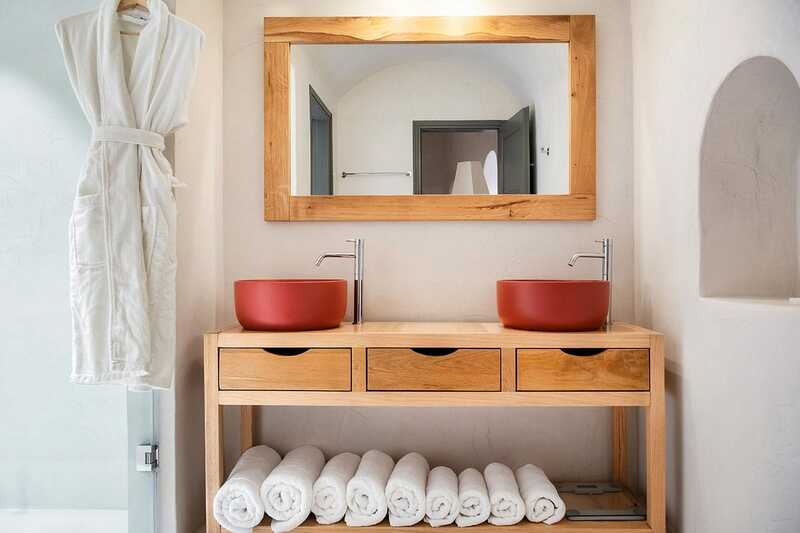 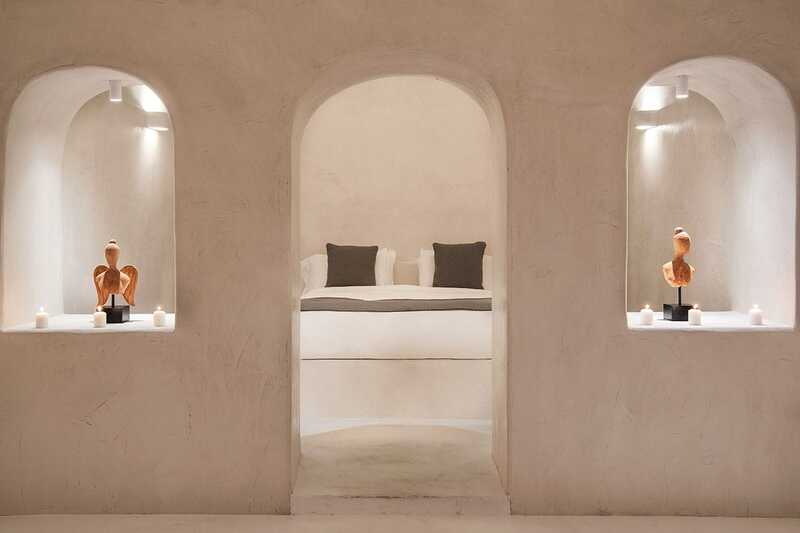 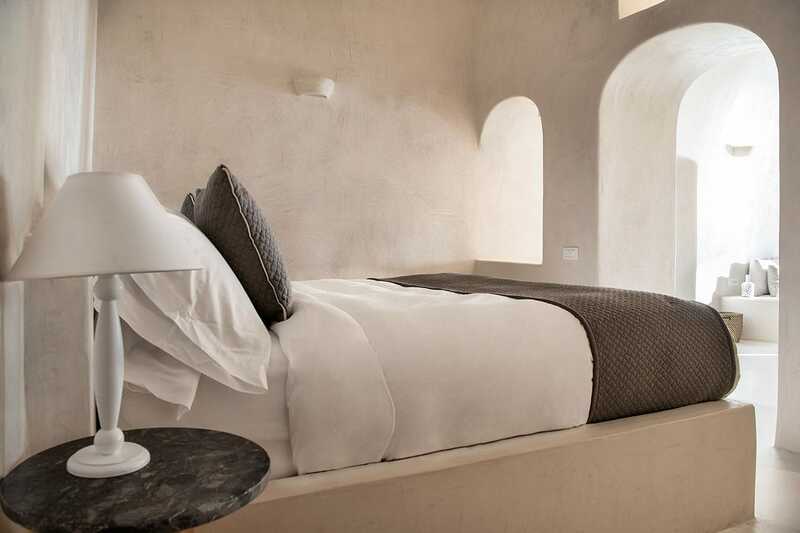 The cave-style bedroom comes with a king size bed and an en-suite bathroom.